ASCE General Meetings will be held in the Biotechnology, Sciences and Engineering Building (BSE) in the Multipurpose Room 2.102 on the 2nd Floor. The BSE building is located next to the Engineering Building. The meetings are set for every other Tuesdays at 5:00pm. 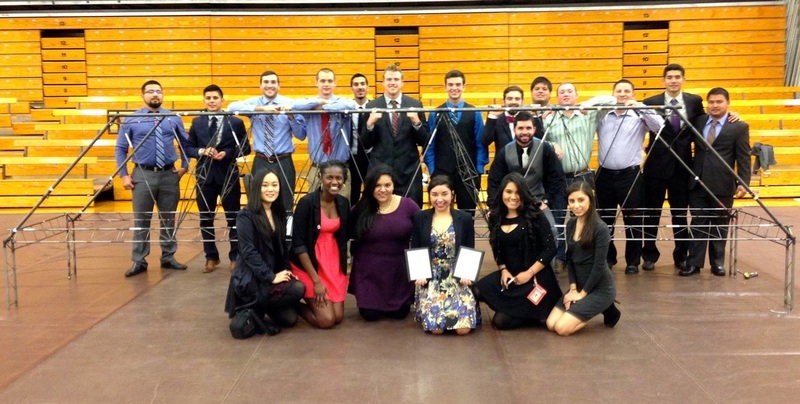 Congrats to the 2015 UTSA Steel Bridge Team! Our 2015 Steel Bridge Team would like to thank all our sponsors for their continuous support. With their help, 15 members of our 2015 1st Place Regional SteelBridge team were able to attend The 2015 National Student Steel Bridge Competition in Kansas City, Missouri this past May. Nearly 600 students from 47 participating colleges and universities - narrowed down from 18 regional competitions throughout the spring - competed in the 24th annual national championship. Having moved up from last years 23rd, the UTSA Steel Bridge Team came home with 11th Place overall, 3rd Place in Lightness, and 4th place in Efficiency. 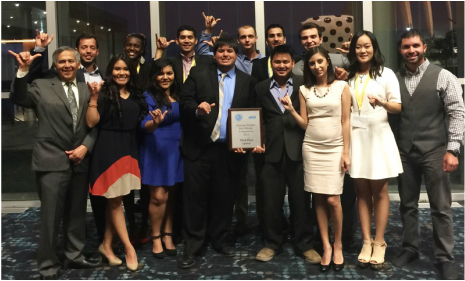 UTSA placed 1st in The 2015 Texas Mexico Regional Steel Bridge Competition & 11th Place Over all in The 2015 National Student Steel Bridge Competition. This year, the Steel Bridge & Concrete Canoe Texas-Mexico Regional Competitions will take place at Texas Tech University on April 7 thru April 9, 2016. (Tentative) The UTSA ASCE Steel Bridge & Concrete Canoe teams continue to look for sponsors willing to make donations. Monetary donations, time and expertise are all welcomed in preparation for this years competitions. The NSSBC 2016 Steel Bridge Rules have been announced! Find the here. Design meeting times for the UTSA Steel Bridge Team will be announced.